I’m a little late in posting birthday crafts, and this is just from his third birthday. It’s worked out perfect, though, as this whole week is Superhero week. Come back to the blog to see what we have stirring as we prepare for the release of Man of Steel on Friday. The one thing I’ve realized is I love having a lot of fun decor for parties, but I hate spending all that time and money to only use it one time. So for Aiden’s third birthday I set out to create party decor that could be repurposed into room decor. 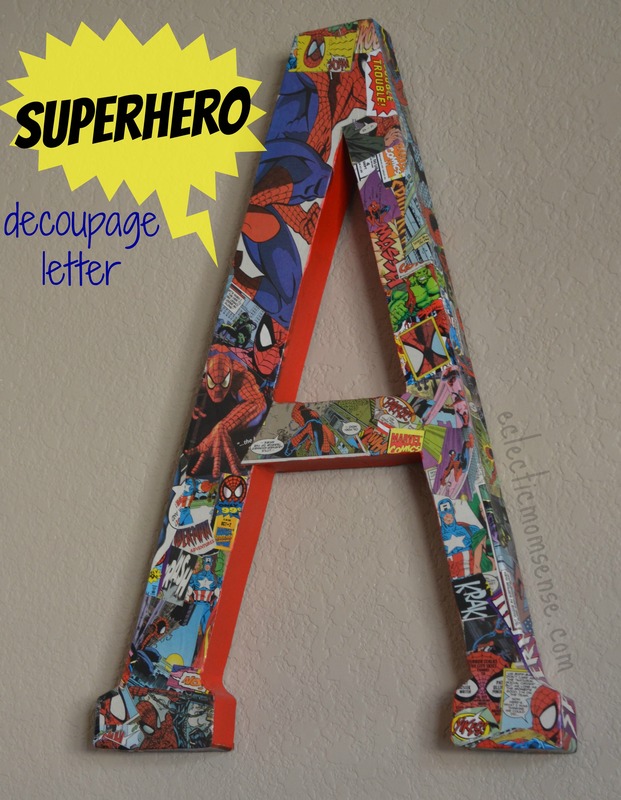 This fun Superhero letter now hangs on his bedroom wall and only cost a few dollars to make. Some of the supplies I already had on hand. The comic books I picked up at Bookman’s for just $.25 a piece. The cardboard letter for around $6 with a 40% coupon from Joann. -Cut or tear out the comic book images for your letter. 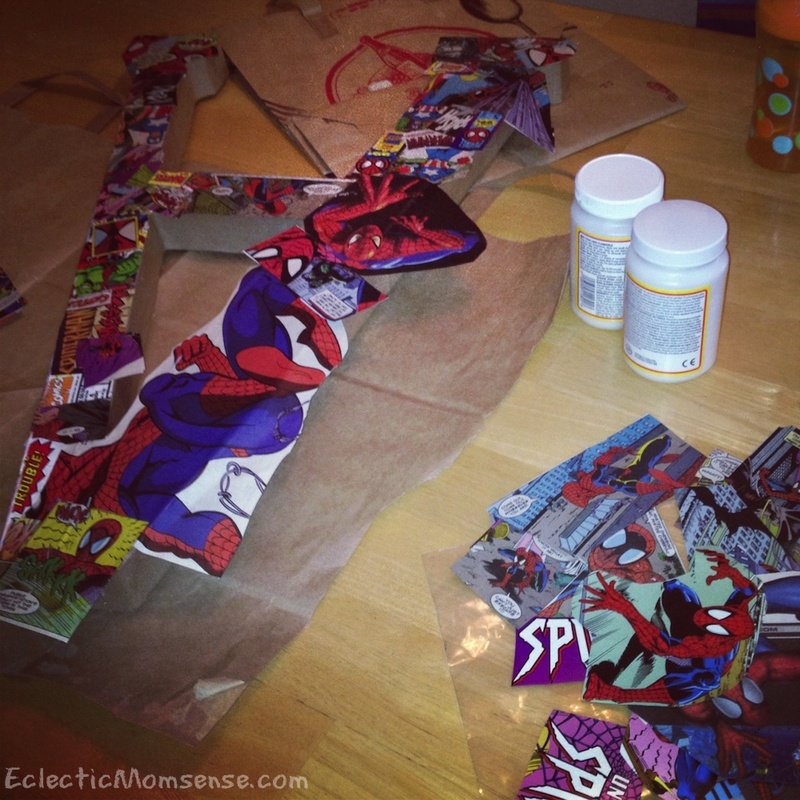 -Coat a small area on the front and outside of your letter with mod podge to work with. I left the inside and back plain. -Start layering your images and finish with a coat of mod podge. 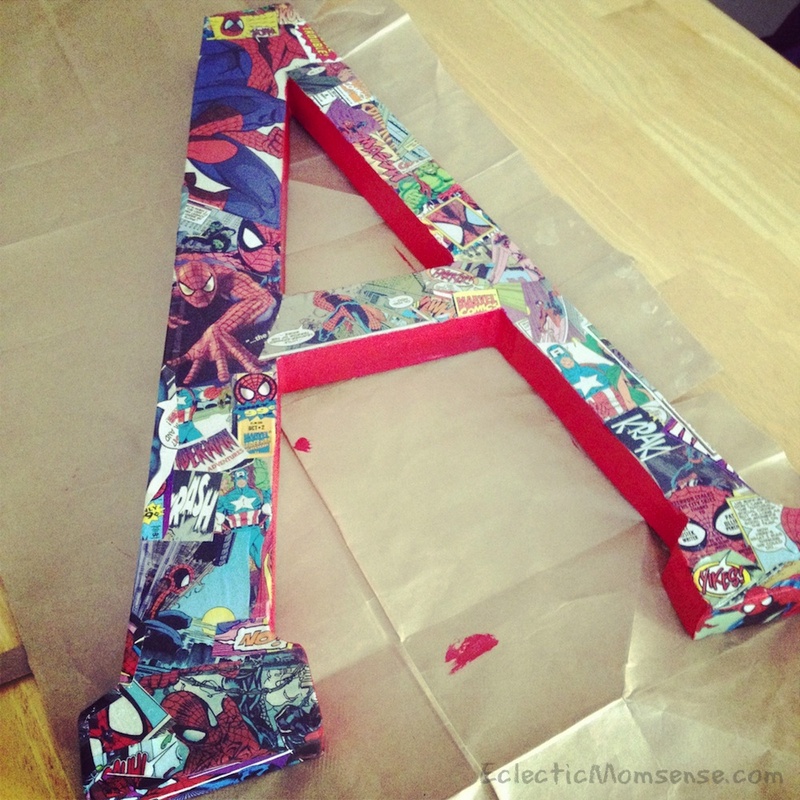 -Once your mod podge has dried paint the inside of your letter with a matching color. 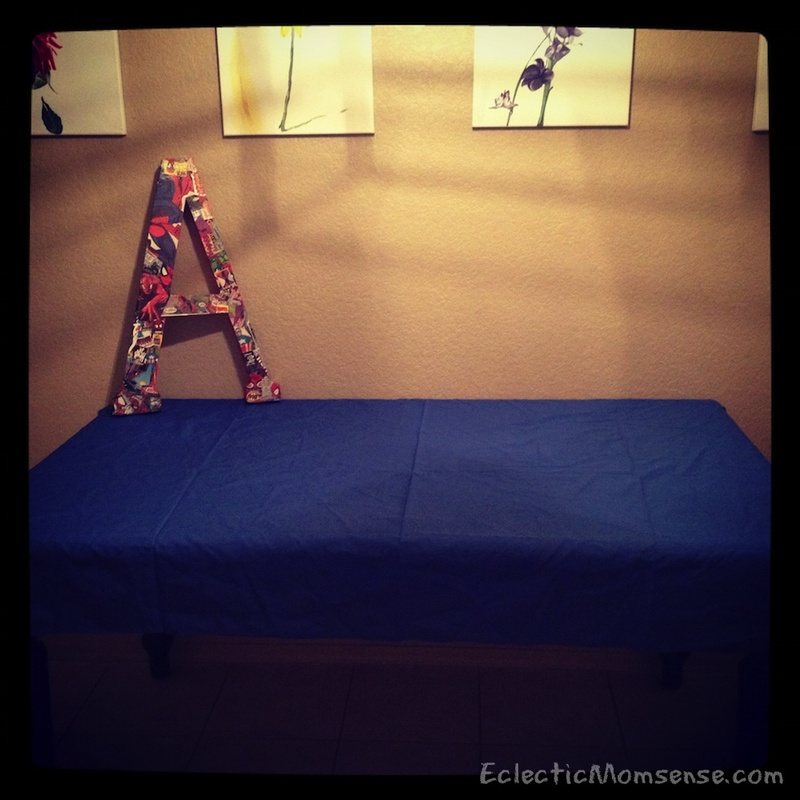 Here the letter sits on the food table at his birthday party. It received so many comments and I was happy knowing it was going to get lots of use hanging in his bedroom for many years.